Over the last year, my involvement in social media has dropped precipitously, including here on my own property. The tone and tenor of online discussions on Facebook, Twitter, and other forums, is increasingly negative and in my opinion, spiritually and emotionally damaging to people. I believe in free speech, but I also believe that every right carries with it responsibility. Christians exercising their rights have a greater responsibility to model behaviors and speech in line with Christian standards. I have three choices in this matter…I can go with the current flow and do nothing, shut down the blog, or set community standards that reflect my convictions. I care deeply about the people that post here and who read here…and that means acting in a way that reflects that care. If we are to be a true “online community of faith” then it has to be a safe community where there are standards and people conduct themselves as people of faith, indeed. Therefore, we are going to set and enforce standards for how discussions are conducted here. Violation of the standards will lead to immediate moderation of a poster. I have liberally “borrowed” from Christianity Today’s comment standards to set ours. 1. The only posts allowed on the “Prayer & Praise” thread are … prayer requests and praise reports. If you have something that doesn’t fit a current thread that you want to post, use “Open Blogging”. 2. Stay on topic. Once again, if you want to start a new thread on something, use “Open Blogging”. 3. You can share opinion, debate, or even argue, but you must do so with decency and grace. I can’t stand echo chambers, but neither will I tolerate threads that look like barroom brawls. 4. While you can graciously take apart someone’s perspective, you may not tear apart an individual. We debate ideas and doctrines, not the character or integrity of those who express them. We do not allow ad hominem attacks here. We do allow robust discussion and critical thought, even if I am the target. Good discussion does not require angry criticism. If you think someone’s wrong, don’t shame, just share your thoughts kindly. 5. If you do not follow the rules we will have to block you from future commenting.This is always a last resort. But no one has the “right” to comment on this blog. You have a right to comment on your own blog, not mine. 6. Don’t be a troll. Trolls come in many forms, but Wikipedia explains: “In internet slang, a troll is someone who posts inflammatory, extraneous, or off-topic messages in an online community, such as an online discussion forum, chat room or blog, with the primary intent of provoking other users into an emotional response or of otherwise disrupting normal on-topic discussion.” Trolling will result in instant moderation. 7. Please don’t feed the trolls. Arguing with a troll just distracts from the conversation, and feeds their need for validation. Ignore them when they appear. I decide who is acting like a troll. 8. This community is ecumenical. All orthodox Christians are welcome to participate and all orthodox Christian doctrines are up for discussion. You may think that your group is the only “right” one ( and you may be right), but any discussions will remember that all of us are made in the image of God and worthy of respect. 9. As a general matter, you may post content or responses to content in the blog freely, so long as the content of such post is not illegal, obscene, defamatory, threatening, infringing of intellectual property rights, invasive of privacy or otherwise injurious or objectionable. However, we reserve the absolute right to edit content. We may also determine not to post content if we determine that such content is not in the best interest of Michael Newnham, Phoenix Preacher, our contributors, or for any other reason. 10. You understand that all content posted to this blog is the sole responsibility of the individual who originally posted the content. You understand, also, that all opinions expressed by users of this site are expressed strictly in their individual capacities, and not as representatives of Michael Newnham, Phoenix Preacher, or our contributors. 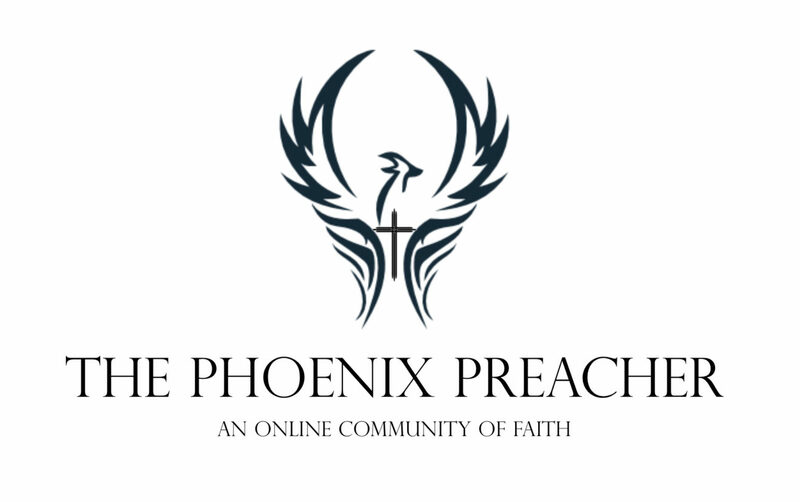 The theological position of the Phoenix Preacher is detailed here. We reserve the right to add to or modify these standards in the future. We encourage your feedback on these standards.